We've shot a lot of on-location video. It's fun, dynamic and can lead to great video. However, we have seen a lot of on-location videos ruined or derailed by unexpected events beyond our control. We can't control the weather. We can plan for it, but if you've ever watched the news you know that meteorologists don't have the best record. A day that's supposed to be mild and warm can turn out to be hot and muggy, leading to a shirt laden with sweat stains. And it's hard to be natural on camera when your teeth are chattering due to a cold front moving in. The benefit of a green screen studio is that the weather is always perfect—a climate-controlled 72 degrees. There is something about a camera that makes people act a fool. As a Virginia video production company, we know this all too well. Before busting out our equipment, people are simply walking down the street. But, when we set up the camera, people start acting crazy. They stare, make faces, or dance, and what they think of as innocent fun actually wastes the time and money of our clients. We avoid this as much as possible by using "the road less traveled" for on-location shoots, but there is always the chance that someone is going to walk behind the subject and do something that ruins the take. While we are a fun bunch, we promise not to streak through your shot and steal the show when you shoot video in our green screen studio. Can we adjust for the unexpected during an on-location shoot? Of course. Our team scouts the location, makes a list of backup locations, and ensures that we have all the permits and permissions we need for an on-location video shoot. 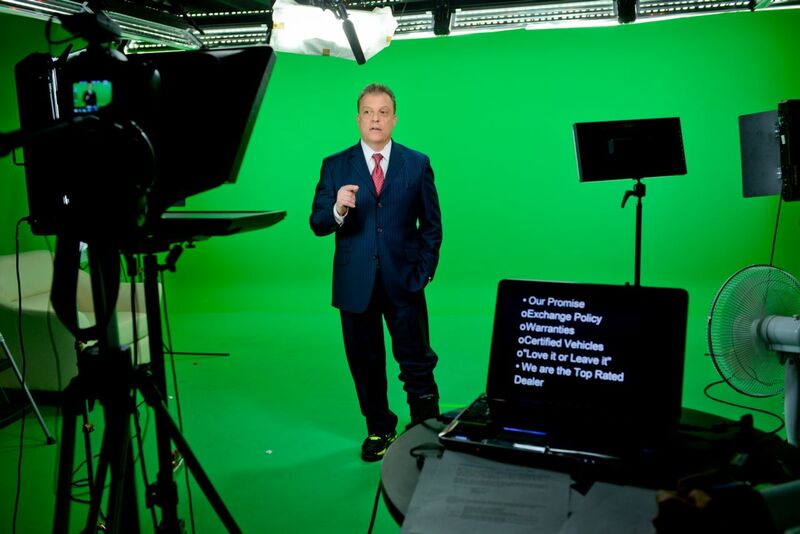 However, it often benefits our clients to come into our Fairfax, Va. green screen video studio to shoot their videos. By doing so, you will save time and money and avoid all of the unexpected events associated with an on-location shoot. To take a tour of our studio or to schedule your shoot time, call 703.962.1270. We can help you achieve the web video success that's eluded you.